If you haven’t been using Twitter for long, you may not know that there are certain etiquette rules on this microblogging network. And if you don’t follow them, you may have trouble growing your tribe. Even if you’re not new to Twitter, it might be a good idea to review some of these faux pas. Why? They may be preventing you from attracting more readers, book reviewers and book bloggers from following you. Not uploading a picture of yourself as your avatar. Don’t be an egghead or use an image of your cat, dog, book cover or favorite lake as your avatar. Your avatar needs to be a professionally taken picture of you. If you don’t want to hire a photographer, ask a friend to take a picture of you and don’t smirk in it or make a funny face. Leaving the header image blank. You can use a variety of free applications, such as Canva, PixMonkey, or Pixlr, you can create a header image for your account. I used Canva to create mine using the logos for my business and my podcast. You can add your book covers, announce the publication of a new book, or use an image that reflects a scene in your book. You can download a free image from Unsplah or Pixabay or upload a picture you took. Writing a senseless bio. Is your bio littered with #cappuccino #frappuccino #kittens #puppies #writer #reader #blogger? Write a professional bio instead. Your Twitter avatar and bio are searchable on the Internet, and you want to use your Twitter profile to advance your author brand and your professional appearance. Check out Joanna Penn’s header image and bio below. They’re perfect in terms of supporting and advancing her brand, promoting her books, and establishing her as a professional author. Using all 140 characters available to you. Don’t do this. Instead, keep your tweets ideally to 110 and no more than 120 characters. Using fewer than 140 characters will give others a chance to retweet you without having to reconfigure your message. #Doing #this #with #your #hashtags. Are you using more than three hashtags in your tweets? Not interacting socially with other writers. It’s important to be friendly on Twitter, meet other authors – even those who write in your genre (perhaps especially those authors) – and promote other authors. 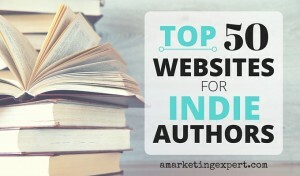 The more authors you meet and promote, the more they will suggest your books to their readers. Spamming new followers with direct messages. It’s because of all the spam in direct messages that a lot of people on Twitter (including me) stop reading them. Don’t ask a new follower to read your blog, buy your book or visit your website in a direct message. In fact, don’t even reply to them or send them a tweet with this type of message. Instead, attract them with your writing and your content. Retweeting tweets that praise you or your book. I once read somewhere that retweets tweets of praise is like laughing at your own jokes. Promoting yourself in this manner is akin to bragging. Announcing how many people you followed/unfollowed. Yes, applications such as Tweepi love for you to announce to your following that you just used the app to unfollow 201 people, but you know what? No one cares, and this isn’t the type of content you want to become known for. Ignoring the 80/20 rule. Guess what? It’s not about you. It’s not even about me. Or your most treasured colleague. Make sure that 80 percent of your content comes from a variety of sources and that you restrict your own content to 20 percent. Looking for a Social Media Cheat Sheet to help you schedule your social media posts? Download my cheat sheet — it’s free! Sherrey: So glad to see you here! Thanks for your note. I would like to build a ‘Clicks to WebSite’ Facebook ad driving viewers to my pages on Amazon Kindle ebooks. My covers are standard size: 600 x 800 pixels (interior) and 1600 x 2400 pixels (exterior). Can I have three covers side by side, moving from left to right? How would I do that? Thanks for reading this. The images you select for your Facebook ads can’t be have text comprise more than 20% of the image. So you won’t be able to use your book covers. To create images, I recommend using Canva, a free online application. Good luck! You are spectacularly thorough in all points of order here and I agree thoroughly. 🙂 You remind me that I need to get on Canva to put my book on my now color-only Twitter pic. I’vehad it as a pinned tweets didn’t want to overdo it but it’s the first thing everyone sees. Thanks for your great advice; much appreciated. Lee: Thank you for your comment. I stopped reading DM’s quite some time ago as well. There are plenty of free tools that authors can use, such as Hootsuite, Buffer and Tweepi. You’ve given me the idea that I need to write a post about free social media apps that Indie authors can use and benefit from. 🙂 Thanks for that!